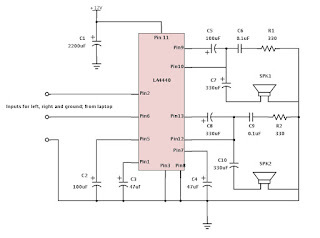 A simple audio amplifier based on the LA4440 IC. This will take the headphone level output from your computer and amplify it to drive a pair of external speakers. If you are listening to music or movies on laptops and computers, this is a small project that is useful to you. The notebook speakers are never strong enough to offer a satisfactory listening experience. They give users the ability to listen to something, but for anything like music or movie soundtracks, they are very poor. The output of a laptop built into the speakers is too low, and this LA4440 Audio Amplifier Circuit deals with that low power with some additional amplification. 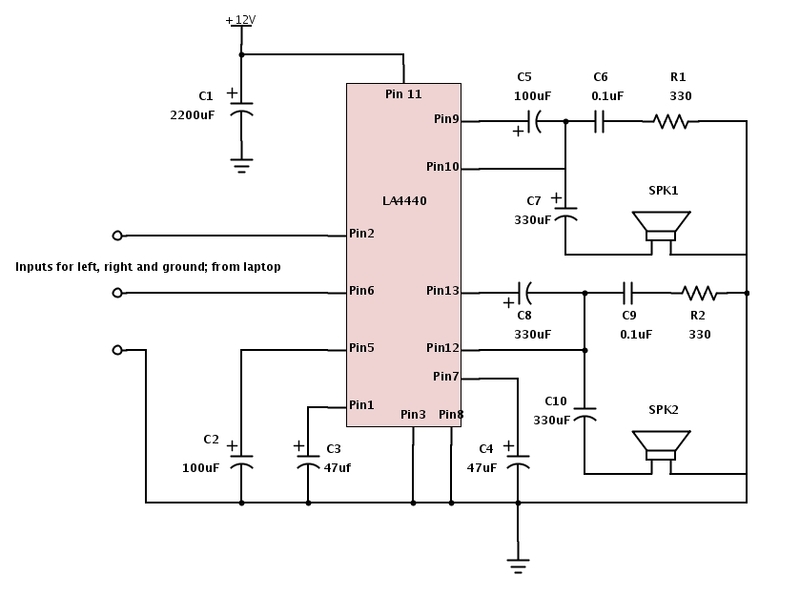 0 Response to "LA4440 Audio Amplifier Circuit"